I love my birthday week ~ the birthday eve, the birthday itself and then following days which I find blissful. I have always loved my birthday and I can only say that it’s become more precious to me as the years pass. Probably because I continue to be so grateful that I am still here after all I’ve endured. I find the dawn most pleasant for the new day ~ the optimism which embraces me as I rise to greet the morning. I love dusk as well, for as I prepare to lay my head on the pillow, I hold most sacred that I have tried to be a good person (and if I haven’t, then I ask forgiveness). I love the above quote which I got via email from Contagious Optimism today. How perfect for me to share today! I begin my mornings by reading a few positive emails from different places and this is one of my favorites! You can sign up to receive a quick inspirational quote every morning from them. Make sure you take a moment to check them out! Just a little tidbit of positivity for you! May you find peace within today and always. May your lives be filled with love and joy. May you feel blessed, for you truly are. Thanks for connecting with me. 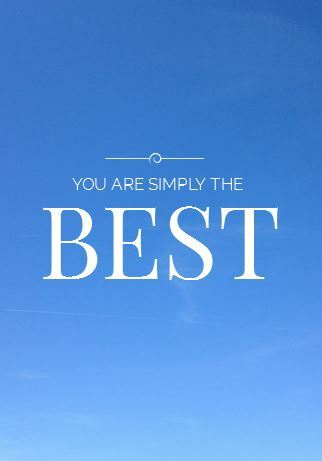 You are simply the best! This is my birthday week celebration and I want to share it with you ~ let’s celebrate, for we have today ~ let’s embrace The Presents of Presence as we feel gratitude for this day, for this moment in time that we share together. Come join me in celebrating our lives, our connections and our friendships! Let’s be grateful that we can enjoy this moment together! I am grateful for so much in my life, even the hardships that I have endured. I am grateful for the happy and sad moments for they have taught me well. I am grateful for the strength that I have found within and the supportive friends and family who have helped me through many trying times. I am grateful to God for every breath that I continue to have and for the blessed life that I have lived thus far and I pray that I have many more years of life given to me. I am grateful for the willingness of myself and others to reach out daily through blogging, texting, phone calls, cards and emails etc. in order to support, love and connect with each other in order to increase the love in this world through kindness. I am grateful for every prayer. 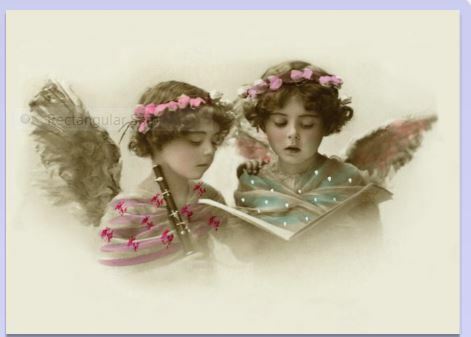 I am grateful for the angels who surround me and for meeting human angels along my path of life. I am grateful for my feline friends as well who give unconditional loving fur therapy when most needed (and even when not needed). There’s something about being loved by an animal which is precious as well. I am grateful for my mind, soul, heart and body which have endured breast cancer etc. and continue to thrive daily, even under unspeakable circumstances. I am grateful to Mother Nature for daily delivering such a beautiful dawn which inspires me, even when I feel under the weather. I am grateful as I count all of the blessings, big and small, in my life. So today, please celebrate with me ~ celebrate your life, yourself and your connections with others both big and small. 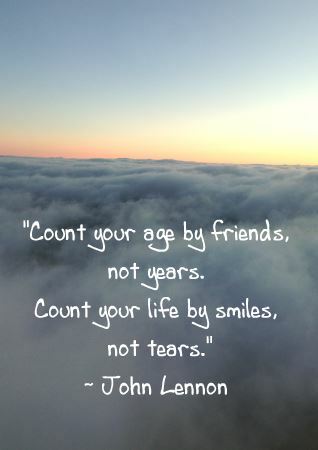 Celebrate your life well-lived and your present moment. Choose to feel the tranquility of gratitude, the quiet reminder that you are here~ perfect, whole and complete and you are appreciated for who you are. For I am grateful to all of you! 2012 was a rocky year for me, 4 major surgeries, the passing away of my Dad, the added responsibilities that accompany closing down his business (of which I know little about) and the taking care of my Mom who relied on my Dad for everything. AAngel (my sister) and I have been dealing with all of the nuances of this literally life changing event in our family and it’s been sad and hard and frustrating. However, it’s made me realize how grateful I am for everyone and everything in my life. There’s a saying that I heard which says without the clouds, you cannot experience the rainbow…so as the rains came, I knew that eventually the sun would emerge and I tried to simply be in that moment and not fight the sadness. It was a huge shift for me and one that I am grateful for experiencing. In the same vein, although with my own twist, I’ve done the same thing with my business ~ except since my choral days are over, I’ve turned to card sending which for me is a bit more concrete because you have a card to hold, to cherish and to be a loving reminder for years to come. How I wish my Dad had written more cards to us instead of calling ~ imagine how wonderful it would have been to have held his loving words in my hands when I needed to hear from him now that he’s passed? Imagine your loved ones holding your priceless words of encouragement, your pictures, your videos in the palm of their hands for years to come? Are you a card person? Or are you like AAngel and find having to drive to the store to then stand in front of the shelves until you find a card that costs between 4-6 dollars which doesn’t quite say what you want appalling? You want to be that person who remembers everyone’s special day, but quite frankly, you simply don’t have the time to add one more ‘do’ on your to do list? You have an entire family and work schedule to keep track of so how can you keep track of anyone else’s stuff? Well, the solution is simple…SendOutCards is a free system which keeps track of all of that for you ~ and acts like your own personal assistant whether you use it for business or personal use! Need reminders of friends’, family members’, clients’, customers’ birthdays, anniversaries, children’s names or need to write notes about them? There’s an online address book which allows you to put everyone’s special days in the calendar so you never miss sending a card and even a gift! You can be that person who remembers everyone and makes them feel special! You simply log onto your computer, iPhone, iPad, kindle or android at any hour, from any place and send a card/gift on time ~ saving you time, saving you money (a card costs less than $1) and getting the card that you want instead of trying to be satisfied with something that only feels ok from the store. Add pictures? Add a video? Add your logo? Sure! Write in your own handwriting? Yup! Pick a card from our catalog or make your own from scratch! Add a gift card? Mrs. Field’s cookies? A toy? Jewelry? A trinket? Yes! You can even schedule your cards to be sent out up to a year in advance! Or send the same card to many people but personalize each one! It takes 5 minutes to do and yet, SendOutCards is not a household name…yet! We are an INTERNATIONAL company with distributors in the United States, Canada, Australia, New Zealand, Ireland, United Kingdom and Singapore. But you can be a customer from anywhere and you can send cards and gifts to anywhere! That’s the beauty of the free system! Buy only what you need ~ there’s a pay as you go option or a subscription ~ whatever works best for you! Yes, it’s that simple! Well, we made it through our first Christmas without Dad. In case you didn’t know, my Dad passed away 6 months ago so we’ve been dealing with many firsts in the last few months, my parents’ first anniversary and his first birthday (is there such a thing to celebrate when he’s not here? ), the first Halloween, Thanksgiving and now Christmas. In the near future looms New Year’s Eve and my Mom’s birthday. According to helpful friends, the year of firsts without Dad are the hardest which I imagine is true having been through a bunch so far…but it is supposed to get easier with time which is a relief. I awoke this morning pondering life after death and thought I’d ask you ~ my blogging community ~ to help me again navigate these muddy waters. Many of you have special gifts that you’ve shared with me so I figure if anyone can help, it would be you. I”m too close to see the forest for the trees so I’d like to rely on you. Do you believe in life after death? Do you believe you can come back to be with your loved ones even for a little bit? Do you believe that spirits can rattle windows or become squawking birds? How about hovering around the house and moving objects in a mischievous manner? Can they enter our dreams to show us that they are happy? Do they possess the ability to play with electricity? Can they leave us signs? Can they turn into cardinals or butterflies to show us they are nearby? In case you weren’t able to guess, the above happened to our family ~ although I am a bit skeptical since not all of the above were experienced by me. But to my Mom, they are definite signs of Dad. In fact, she knows that he’s been back to visit her, to let her know that he’s still around watching over her. I’d love to hear your experiences if you have had any and if you’d share with me. Because I think that especially around the holidays, the empty chair of a loved one who has passed is most felt now. We tried to make it easier for my Mom by changing it up this year and my sister AAngel hostessed Christmas Day so that we wouldn’t have the memory of Dad’s empty chair. For the most part, I think it worked well ~ she subtly lit a white candle on her table for him which I thought was most caring. Have you experienced any after death visits? Do you believe in the ability for loved ones to come back to visit? Do you have any suggestions on how to get through the rest of the year of firsts? Any and all suggestions, stories and experiences are appreciated! I found a few blogs who had a bit to say on the subject as well ~ I thought you might like to check them out too! 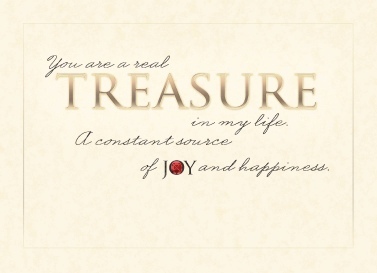 You are a real treasure in my life. A constant source of Joy and Happiness. I hope this says it all…I always believed in praising my children and disciplining them as well…but I always want them to know how special they are to me and how much they can make a difference in life by being kind. I am very blessed to have such amazing children and during this period of time, I thought it appropriate to be grateful for them! So here it is! Have you told your family how grateful you are for them? Perhaps today’s the day?